Are your leg veins causing you physical discomfort or stopping you from revealing your legs? 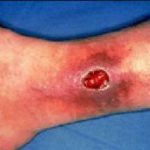 Perhaps you have a venous leg ulcer that is long-lasting? 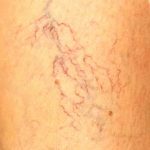 Spider veins are fine dilated veins most commonly appearing on the surface of the thigh and are red, blue or purple in colour. Approximately 1 in 3 women are affected by these, however men can also suffer from them. 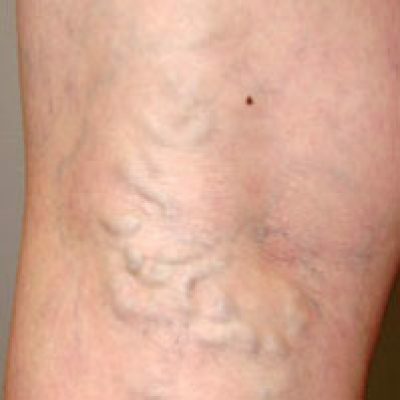 Varicose veins are swollen veins that tend to be larger and more prominent than spider veins. Both problems can be very distressing, with symptoms including aching, restless legs, swollen feet/ankles and night cramps. Don’t suffer in silence if you are affected by leg veins. With our advanced laser treatments and sclerotherapy procedure, you can achieve incredible results, drastically improving the appearance of your legs. At the Chiltern Medical Clinics, leg vein treatments – including venous ulceration – are administered by Dr Stephen Tristram, who is an Associate Specialist in Vascular Surgery. Dr Tristram has appeared on BBC Television’s The One Show discussing the treatment of varicose veins and demonstrating an innovative non-surgical technique which is available in our clinics. 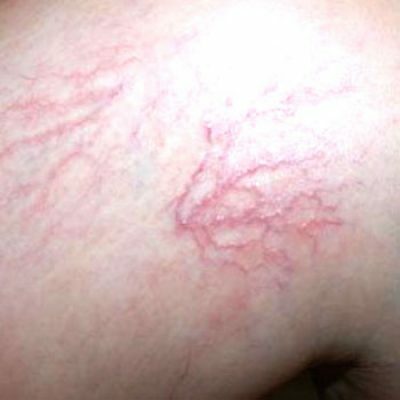 Spider veins may be isolated or associated with ‘feeder’ veins. They can also be associated with larger underlying varicose veins. Certain factors contribute to the development of spider veins, including genetics, pregnancy, hormonal factors, weight gain, physical trauma or activities that require prolonged sitting/standing. An effective form of treatment for spider veins is Sclerotherapy. This procedure requires injecting a solution using small needles into the veins, forcing blood to reroute through healthier veins. The spider veins will then collapse and eventually fade. The procedure typically improves not only the cosmetic appearance, but associated symptoms as well. We can also use laser treatment as an alternative to or to complement sclerotherapy for small veins. With laser treatment, a light beam is pulsed on to the veins in order to seal them off, causing them to dissolve. Successful laser treatment requires adequate heating of the veins. At your consultation, Dr Tristram will discuss which treatment option best suits your needs and desired result and why. What happens after spider vein treatment? Your recovery period will depend on the nature of your treatment. For example, following sclerotherapy, you will need to wear support stockings and/or bandages on each treated leg with the length of time advised by Dr Tristram. Most physicians recommend a 30 minute walk soon after treatment. In-depth information on everything you need to know about your aftercare will be provided, with a handout to refer back to also. You are always welcome to call either of our clinics for advice if you have any post-treatment questions. Varicose veins are bulging veins that are typically 3mm or more in diameter. 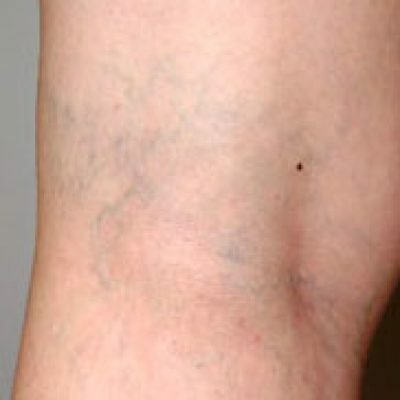 Moreover, varicose veins are deeper than spider veins. Although you may be particularly concerned by the appearance of your varicose veins, they can also cause pain, leg heaviness, fatigue, itching, night cramps, restless legs at night, and leg swelling. 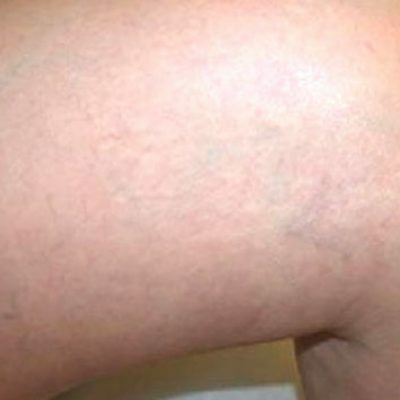 Moreover, severe varicose veins can compromise the nutrition of the skin and lead to eczema, inflammation or even ulceration of the lower leg. It also increases the risk of phlebitis. Varicose veins often run in families and there may be a hereditary component. Yet, there could be an underlying problem. Dr Tristram will usually conduct a painless non-invasive ultrasound test to determine if an underlying source exists. Normal veins contain one-way valves to ensure that the blood flows towards the heart. Failure of these valves allows blood to flow backwards down the veins and results in an overload of pressure when standing. This excess pressure leads to widening of the veins so that they do not close properly, thus resulting in a varicose vein. Symptoms are often worse at the end of the day because more pooling has occurred. Other factors that increase pooling and therefore symptoms include prolonged standing and sitting, exposure to heat (summertime, hot baths) and hormonal factors such as pregnancy. Sclerotherapy is an effective treatment option for visible, bulging varicose veins. Ultrasound-guided sclerotherapy and vein stripping may be used to treat underlying problem veins. What happens after varicose vein treatment? Following sclerotherapy, you may need to wear support stockings and/or bandages on each treated leg. Dr Tristram will determine how long you should wear the compression, generally based on the type of veins and treatment you had – we provide the correct medical grade compression socks for you. Most physicians recommend walking frequently after treatment. Depending on your treatment, other instructions may be given. How many treatments will I need to remove these leg veins? The number of treatments you need will very much depend on the severity and extent of your individual case. During your initial consultation, Dr Tristram will give you a more thorough evaluation of your specific needs and determine the best method of treatment for you, as well as discussing how many treatments he feels you may require. Duplex ultrasound is the combination of two different sorts of ultrasound i.e. greyscale picture of the area being examined plus an overlying Doppler image in colour to show blood flow. This is an excellent method of identifying the cause of varicose veins. Sound waves are used to build up a picture of the superficial veins, the deep veins, as well as the perforator veins. In a sense, the veins can be ‘seen’. This is very different to the handheld Doppler examination which is now outdated. The test itself is painless, (no injections are involved), accurate and does not involve radiation or x-rays. The skin overlying the veins to be scanned is covered with a thin layer of acoustic gel, which is harmless, colourless and odourless. Many experts now agree that Duplex scanning is essential prior to the treatment of varicose veins and those treated without it have the ‘incorrect’ operation or treatment. Duplex ultrasound is used at the Chiltern Medical Clinics. This allows Dr Tristram to identify problems in the larger vessels, such as ‘leaking’ valves and perforator veins, which are often the source of thread veins and varicose veins. The scanner also allows him to accurately visualise and safely inject larger veins, which would be sometimes impossible with the naked eye. You can read more about Dr Tristram on our Team page. He is an Associate Specialist in vascular surgery and extremely well respected in his field. Dr Tristram has an established private practice at the Chiltern Medical Clinics specialising in the assessment and treatment of venous problems in the leg, in particular varicose veins, varicose ulcer disease and post DVT management. He uses a Duplex scanner to provide accurate diagnosis in the assessment of venous disease and for ultrasound guided procedures. 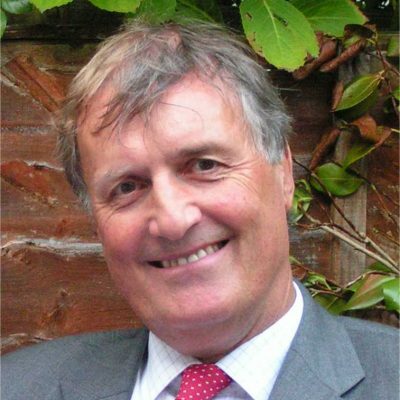 Dr Tristram was largely involved in the development of ultrasound-guided techniques for the treatment of varicose veins and ran a large European study on this topic in 2001. He lectures widely on his interests and sits on The BUPA Consensus Panel for vascular treatments. I have venous ulceration – is this something Dr Tristram can treat? Yes. Dr Tristram has significant experience in the treatment of venous ulceration and leads the venous ulceration clinic. Contact either of the Chiltern Medical Clinics on 01491 873 989 or 0118 958 2016 to make an appointment with Dr Tristram. How much does leg vein removal cost? Our fees are very competitive. During your initial consultation, Dr Tristram will assess your condition and he will estimate the number of treatment sessions you will need in order to give you an idea of cost. Scanning and treatment can be carried out at the time of consultation.